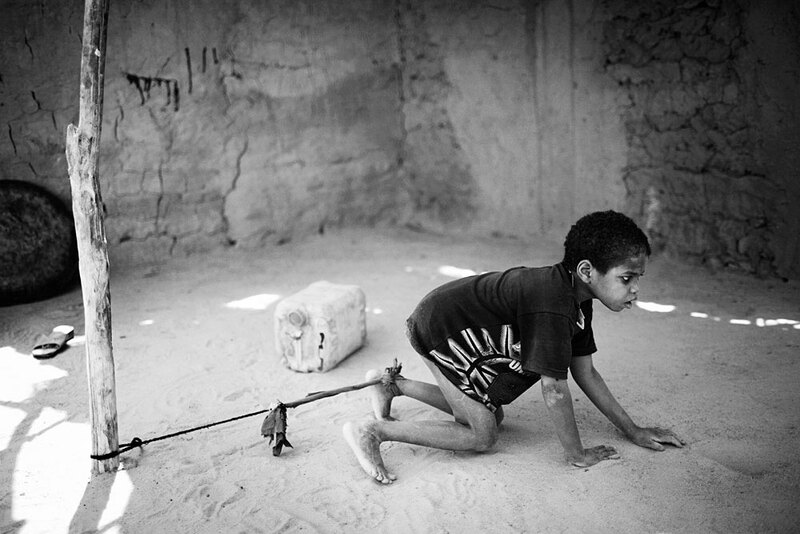 A young mentally retarded boy is tied to a pole in Oure Cassoni refugee camp close the border of Darfur, about 23 kilometers outside Bahai, Chad, 2007. He was damaged while fleeing violence in Darfur with his mother. About 27,000 people live in grim conditions after fleeing the violence in nearby Darfur.